Yes, back to school soon! 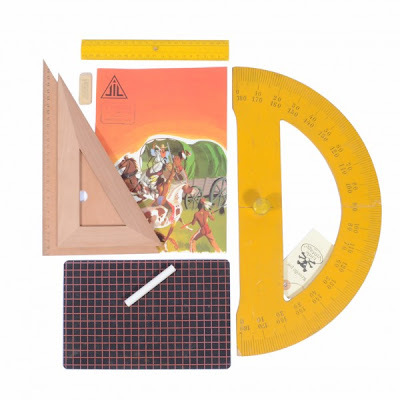 French vintage kids' shop Little Vintage have put together a wonderful collection of old and new school accessories, bags, textbooks, furniture and traditional smocks and aprons from the 50's and 60's. 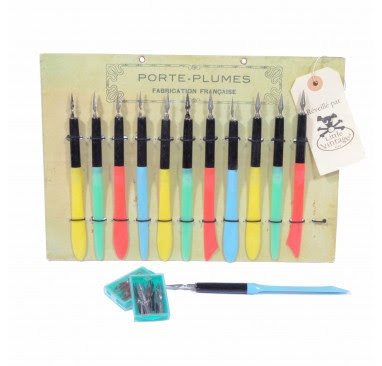 Have a good look at the Little Rentrée section in their shop, it's chock-full of original and affordable items, including these retro writing and maths sets, which I find hard to resist, pas vous ?